This is a veterinary forumla multivitamin powder supplement for cats. Ingredients include vitamins like A, E, and C, and minerals like calcium and magnesium. Other ingredients include taurine, kelp, and folic acid. The formula in this cat supplement is designed to maintain your cat's health by providing essential vitamins, minerals, anti-oxidants, and other vital ingredients. The supplement is in powder form with a beef liver flavor that can be added to dry food or wet food and easily given at mealtime. 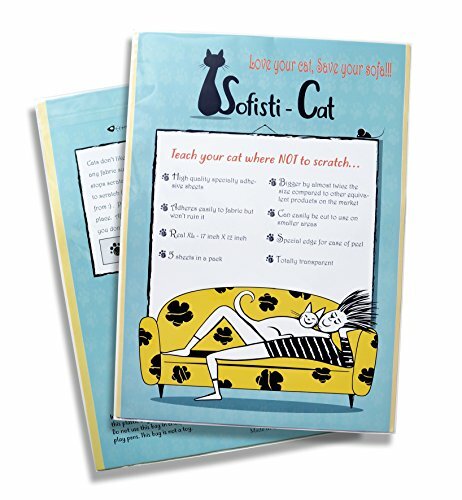 Train your kitty to stay off of certain furniture with this non-electric deterrent mat. 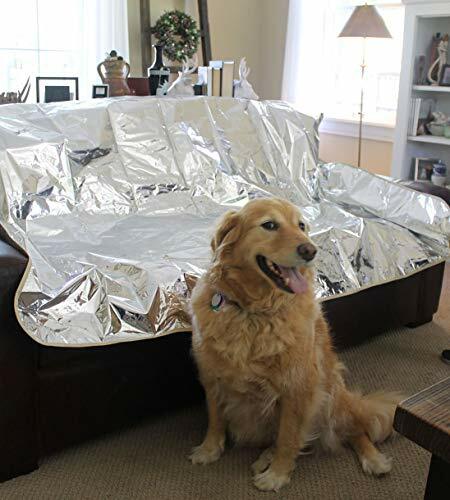 The harmless foil-like Mylar film has a deterring crinkle sound that keeps pets off of its surface without shocking or otherwise harming them. This is a large 56" by 72" mat that you can use to cover chairs, couches, or other furniture you'd like to keep your pet off of. The shiny Mylar side deters your pet from jumping and walking on it with its unpleasant crinkle sound. The other side of the large mat is made of non-woven polyester fabric that won't harm your furniture. Add a pet door to an existing aluminum window in your home with this adjustable and easy to install unit. This is a highly rated pet door made by Ideal Pet Products. 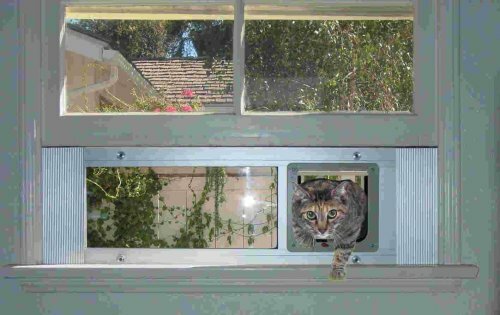 Install this aluminum construction pet door to a sash window at home to give your pet easy access between your home and your patio or lanai. We don't recommend letting cats outdoors unless supervised or under control. Choose from three different adjustable sizes. This window adjusts from 27" to 32". You can also find sizes that adjust from 23" to 27" or from 33" to 38". Customers report this is very easy to install. It's an easy solution without making any permanent holes in your home's walls or doors. Save your couch and other furniture from being scratched up by your cat by using this specially designed tape as a scratching deterrent. 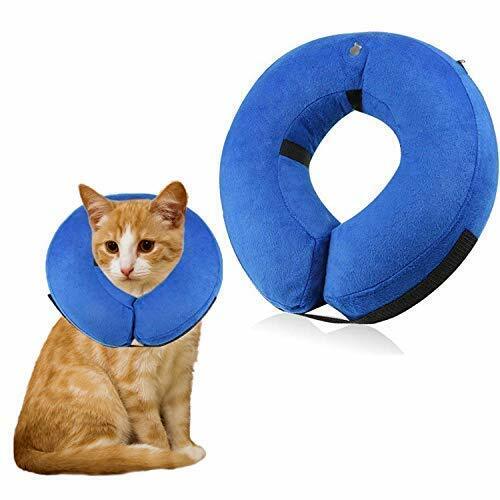 Most cats don't like to feel anything sticky on their paws, which is why double-sided sticky tape is a proven deterrent to prevent cats from touching or scratching a surface. This tape keeps your cat from scratching your furniture without harming your cat or your furniture. The tape sticks to but does not leave a residue on your furniture. The tape is transparent so you can teach your cat without disrupting your home decor. This double-sided sticky tape comes in large sheets (12" x 17") to easily cover large areas at once.